I never thought I’d love a zombie novel that my thirteen-year-old daughter recommended, but M.R. 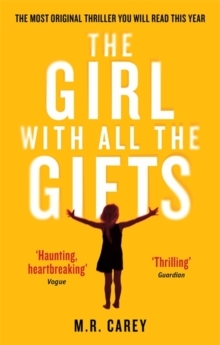 Carey’s The Girl with all the Gifts is so gripping that some bad words may have left my mouth when I had to put it down. It tells the story of Melanie who waits in her cell every morning to be collected for class. When they come for her, Sergeant Parks keeps his gun pointing at her while two of his people strap her into the wheelchair. She thinks they don’t like her. She jokes that she won’t bite. But they don’t laugh. Melanie is a very special girl. I was carried away as the story developed as the author has that very special talent of giving you enough to keep turning the pages without giving you so much that you can guess what is going to happen next. The ending is satisfyingly surprising – if only because it relieves the tension you feel from the start of the book. Not a deep read, but a fun one and if you are looking for a summer page-turner then you need look no further. I was delighted to be sent a copy of Monsieur Quincampoix (to love is to see the rabbit), a novel by Swiss writer Fred Bocquet, translated into English by Mike Gautrey and Roddy Mckinnon and published by cous mouche in Geneva. This is a book you can judge by its cover. Former high-flier Norbert dies in the prime of life in a bathroom accident. 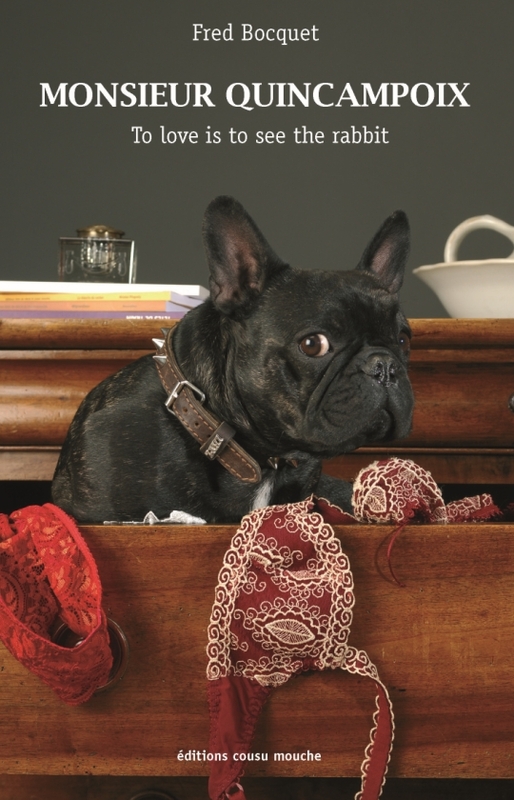 Chance – or something very much like it – brings him back to the cosy apartment he shared with his negligently beloved wife… in the skin of an asthmatic French bulldog called Monsieur Quincampoix. So starts the adventure as Nobert/Monsieur Quincampoix watches his wife adjust to widowhood while he lives with his regrets of not loving her enough. He has to endure slights of his character, performing his toilet in the park and ultimately the sight of his wife with another man. There are lots of things to like about this book. The translation is handled expertly and the writer perfectly captures the feeling of a first kiss. This book reminded me of the novel Shantaram as both narrators are unreconstructed males making the best of difficult circumstances. Personally, I am not a fan of this kind of voice, but I think many readers will find this book amusing and will enjoy Norbert’s cutting wit. In any case, it’s great to see a Swiss publisher taking the plunge and opening Swiss literature to an Anglophone audience. Both of these books are available to the bookshop and cost CHF 13 and CHF 25 respectively.